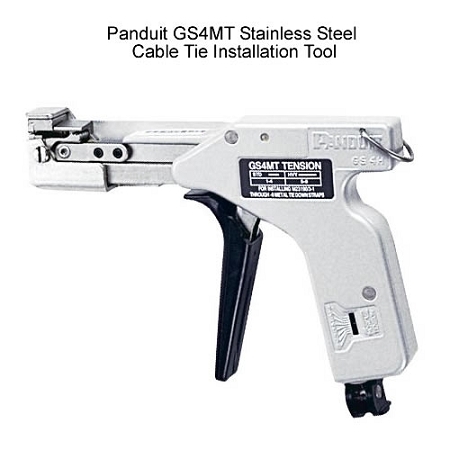 Panduit GS4MT is designed specifically for tightening and trimming stainless steel cables in the military, warehouse or construction sites. 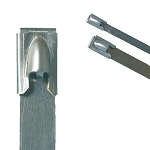 Lightweight cable tie installation tool is quality certified ISO 9001:2000 and qualified as Military Specification Standard Part # MS90387-3 to meet your requirements of installing the following military standard straps: AS -23190/3-1, -2, -3. -6, -7, -8, -9. In addition, Panduit offers a 20 Year Warranty to protect your investment. Installs cable ties including standard (.18”), heavy standard (.31”), cross section and light heavy (.25”) metal cable ties in addition to MLT ties, MLTC coated ties, and MLTDH double wrapped ties. MLT ties are heavy duty type cable ties of 316 stainless steel; MLTC ties are Panduit patented designed with a protective coating with a smooth surface and rounded side; MLTDH are Panduit cable ties whereby the cable tie body wraps two times around while entering the locking head twice. 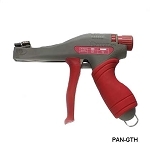 The Panduit GS4MT is a controlled tension gun style cable tie tool that tightens cable ties and easily cuts off any excess tie using a present tension on the black selector know and the squeeze of the handle. 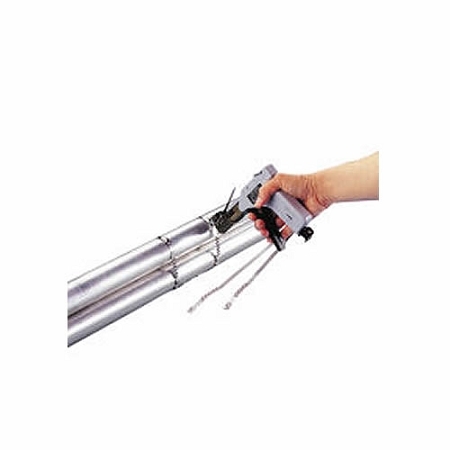 Ergonomic, one-handed design makes this stainless steel cable tie tool user-friendly, and lightweight while increasing productivity, reducing fatigue and ensuring safety. Requires no special maintenance and works for an annual usage just under 50,000 times. 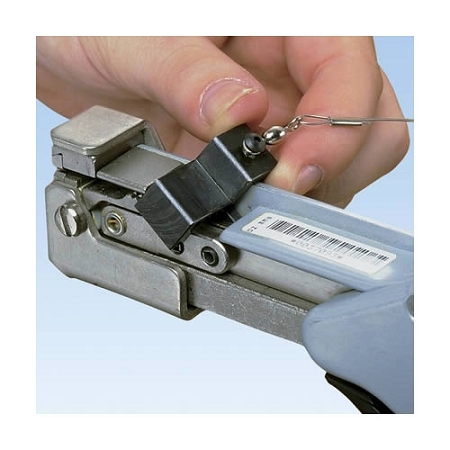 Replacement blades are also available to provide reliable and accurate cable tie installation every time. Please select the "More Information" tab for product specifications and installation instructions."